Send an email to info@mrcycles.com with your order number, a link to the advertised price, and the advertiser's shipping fees. If eligible, we will notify you of the credit amount and you will be refunded via the original payment method. To validate submitted prices, we will need a web link to the advertised price along with the advertiser's shipping and handling fees. The product must be an identical OEM parts, new, undamaged, sealed in the original packaging and not be a Closeout item or violate any manufacturers' Minimum Authorized Price (MAP) policies. The submitted product must be available from an authorized OEM U.S. reseller, whose authorization we reserve the right to verify; items from auction sites (including eBay) or unverifiable sources will not be accepted. The submitted product cannot be purchased in conjunction with another promotional offer. Our Price Match Guarantee is not valid for orders shipped outside of the United States or with international orders. Aftermarket Parts are excluded from our Price-Match Guarantee. 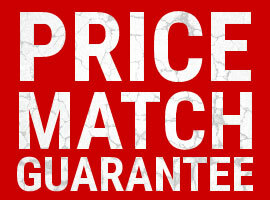 The price match guarantee is also valid for purchases made through MRCycles.com. If you find a lower price on the same part on mrcycles.com within 14 days of your purchase, we will gladly match the lower price! [This only applies to items that are not on clearance].